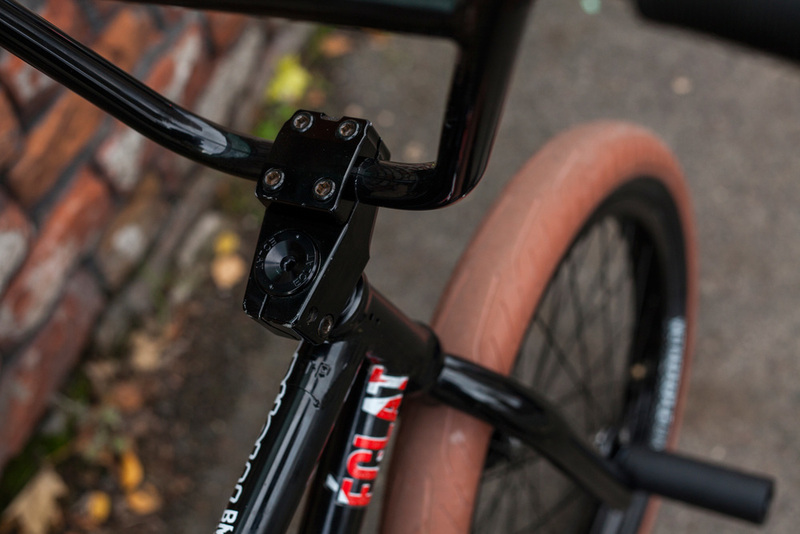 Jordan Godwin Bike Check — WETHEPEOPLE BIKE CO.
After a Summer of hard 360ing out of handrails, Jordan's bike needed a bit of love so we sent him a fresh 2016 Patron frame along with some new 2.40" Stickin Tires in Dark gum and a V2 Helix Freecoaster hub with our Dill Pickle Nylon pegs. 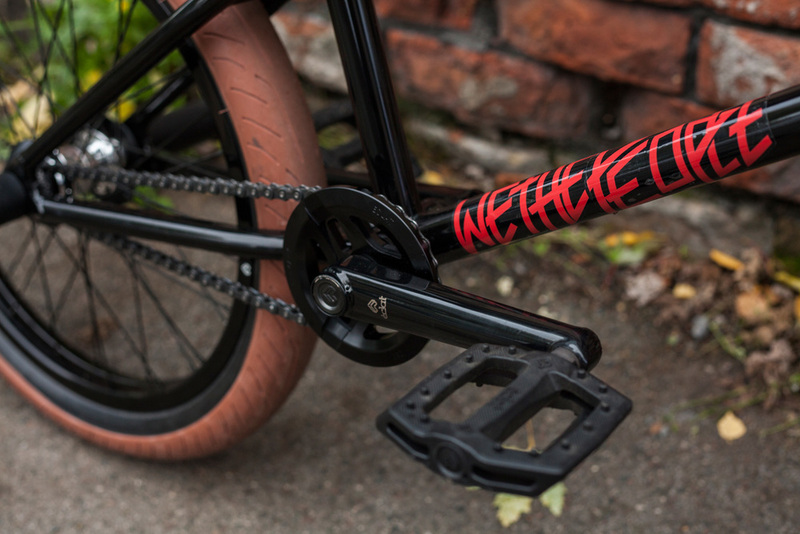 Frame: Wethepeople 2016 Patron Frame 20.75"
Bar: Wethepeople Switch Bar 8.75"
Pegs: Wethepeople Dill Pickle Pegs 4.5"
The Stickin’ tire is the successful end result of over a year of blood, sweat and tears. 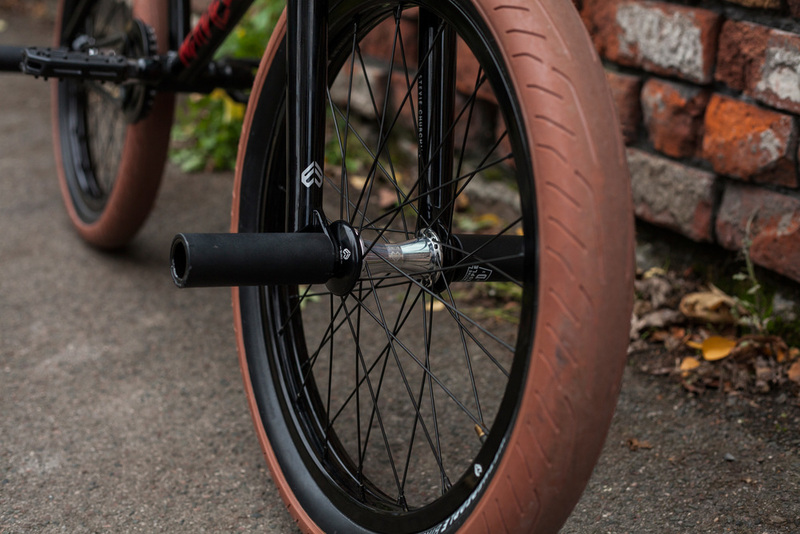 Using a specially designed shape and specific rubber compound allowing it to stick to literally anything, yet enable you to grind endlessly without getting your tire stuck on the side of the rail or ledge, this street slick beast was designed to grind and slide like nothing else. Available NOW in 2.30″ and 2.40″ in Black or Dark Gum. Like many of the team Jordan is running our NEW 2016 Patron frame. For this year we raised the standover height on our team issue street steed to 8.75" on the 20.75" (Jordan's preferred size), and 9" on the 21.15". We also shortened up the stays to 13.1" when you slam the wheel all the way back, making the Patron one of the most responsive frames in our collection. Jordan putting his new setup to good use. Pegs to Hardway 180 T-bog.